The retail landscape has changed a lot in recent years. The rise of ecommerce has driven competition up and prices down, forcing storeowners to find new ways to control operating costs and keep up with rapidly changing trends. 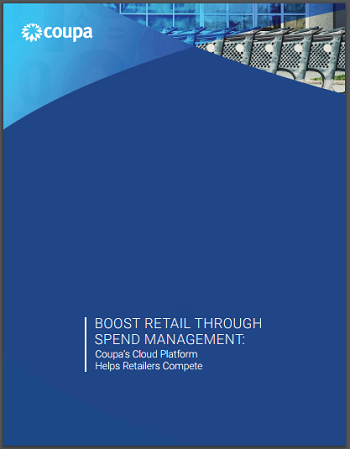 While many retailers invest in technology to track and manage inventory, spend management solutions offer a unique and often overlooked opportunity to boost retail results. Coupa’s cloud-based Spend Management platform helps retailers find new ways to streamline operations, increase margins, and stay competitive.